Being effective, efficient and productive is not an option in today's world, it's a necessity. Mike's business and estimating products will give you the tools you need to understand the components of your business, and what's involved in making sure it's profitable. The DVD program allows you to work through the textbook while you watch Mike and his panel of industry experts discuss the topics and give real-life examples and applications. One DVD is dedicated to About Estimating Software. 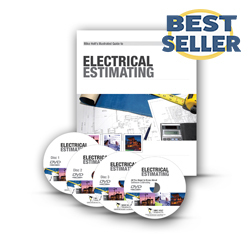 The primary purpose of this textbook is to help you understand the estimating and bidding process. Mike explains how to determine material cost, labor cost, and the calculation of direct job costs, overhead, and profit to complete the bid. You'll learn how to bid - and when to say no. 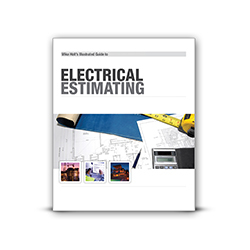 Estimating is a way of seeing, in advance, what you need to correctly complete a given project profitably. Your costs include time, labor, and materials. If you know those costs and they are figured into your bid and price, then you can do the job correctly and profitably - or choose not to.... Mike's textbook teaches you the difference between estimating and bidding, and gives you the tools you'll need to profitably manage your business. 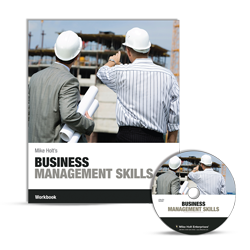 Take your business skills to the next level. 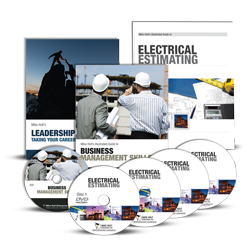 Whether you have recently passed an exam, recently opened a company or are just looking to understand the electrical business from a different vantage point, Mike’s Business Success Program can help you tremendously! Mike shares his insight and knowledge on the skills and disciplines you need in order to understand you who are, make goals, and work to achieve them. 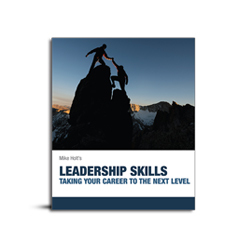 He gives you the tools to clear the path to understanding what your personal success looks like, how to cultivate a winning attitude, and how to employ great communications skills. Leadership has to do with the day-to-day choices you make to succeed in your personal life or in your work. It's about being the best you can be, no matter what part of your career you're in, or what stage of life. Mike's vision for this textbook is that it assists you in recognizing, developing and improving on the skills that will help you become a successful player in your own life - being in control of your own destiny, whatever you determine that to be. This DVD program will give you what you need to understand the components of running a business, help you determine your strengths and give you tools to help you turn your action plans into a step-by-step guide to move your business forward. 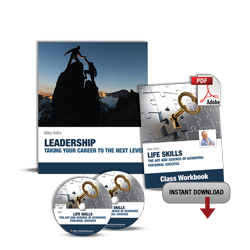 The DVD focuses on what's involved in building a successful life and business. 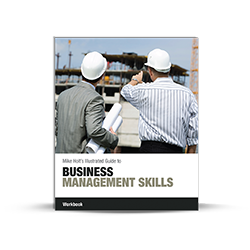 This workbook was designed to assist you in improving the skills that you need to build and manage your business more effectively, and will aid in the achivement of what many of you feel is a life-long dream of being in control of your own destiny - of becoming a business manager. It encompasses worksheets for all aspects of running a business, and gives you an Action Plan to help put it all in motion. business management • financial management • job management • labor management. 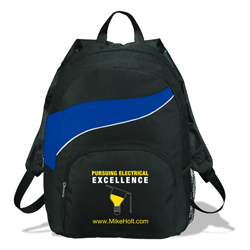 These nylon backpacks are a great way to carry study materials, travel, or use whenever you need a handy bag. Black with a colored stripe on the back; colors are assorted and cannot be specified when ordering.